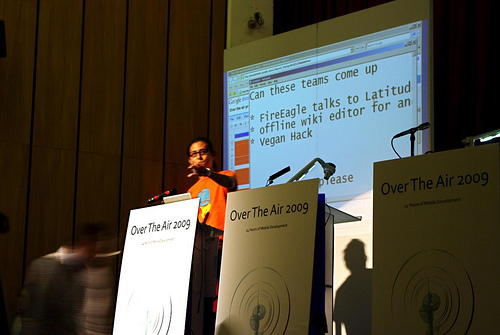 One of the key features of Over the Air is the in-event competition, which gives you a chance to show off the clever and fun ideas you’ve been coding and hacking away at over the course of the event. We’ve had some really great entries over the years, and hope to hear plenty of stories of how they were developed further after the event (in which case we’ll link to them for you). 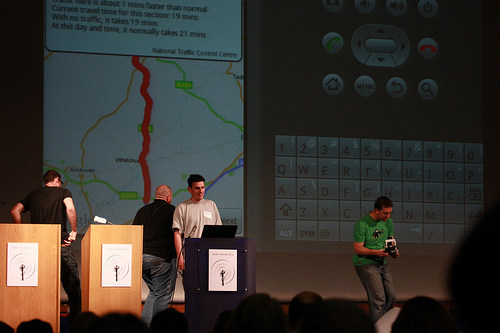 We’d love to feature our past hack-a-thon entries and where those ideas went… if you’ve got a video or a blog post about what you did, if you’ve launched the idea you worked on in ’09 or ’08 – please get in touch! We’d love to brag about you….